Gavin DeGraw is an American singer-songwriter and musician. He is probably most well-known for his songs "Chariot", "Follow Through", "I Don't Want to Be" (which is featured as the theme song for the TV drama One Tree Hill), and "In Love with a Girl." DeGraw's debut album, Chariot, arrived during the summer of 2003. Like the singer's early days in New York City, Chariot slowly built momentum and earned the young DeGraw a small but fervent following. By 2004, the leadoff single "I Don't Want to Be" had become a Top Ten hit, and the album itself was soon re-released in expanded form under the title Chariot + Chariot Stripped. DeGraw's next single, the titular "Chariot," was also met with positive response and climbed the charts in 2005, pushing the album to double platinum sales. DeGraw took five years to release a self-titled sophomore album, which appeared in 2008, initially charting higher than Chariot but failing to spawn any comparable singles (although "In Love with a Girl" did peak at number 24). DeGraw shifted gear for his next release, the looser and seemingly less labored Free, which appeared only a few months later in early 2009. DeGraw took more time to release his fourth album. Co-writing with other artists for the first time, he spent two years workshopping the songs that eventually comprised Sweeter. The album was released in fall 2011, several months after "Not Over You" -- a song co-written with Ryan Tedder -- returned DeGraw to the charts. 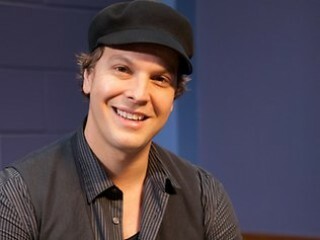 View the full website biography of Gavin DeGraw.